At 1:55 pm IST, Infosys' share is trading at a volume of 2.1 lakh and 54 lakh in BSE and NSE at Rs. 743.65 ( 2 per cent up), respectively. 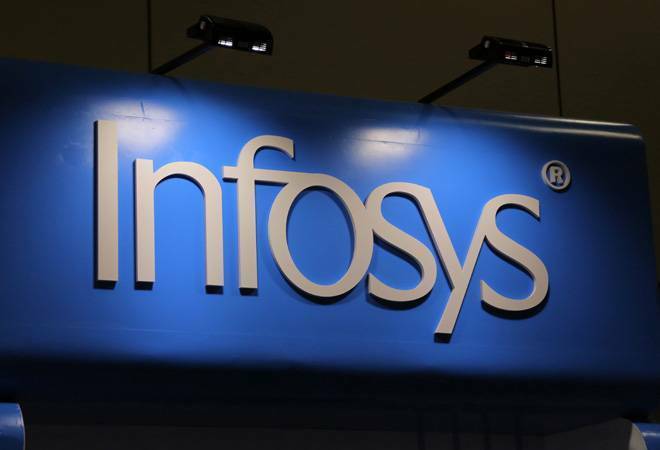 Infosys and ABN AMRO have announced their strategic partnership in the Netherlands in which Infosys will acquire 75% in Stater N.V., a subsidiary of ABN AMRO Bank. Stater is the largest mortgage service provider of the Benelux, that services 1.7 million mortgage and insurance loans for approximately 50 clients in The Netherlands and Belgium. Shares of the IT major opened at Rs. 730 and rose 2.14 per cent to the intraday high of Rs. 744.70 against the previous close of Rs. 729.05 today. Infosys share price has been gaining for the last 2 days and has risen 2.15 per cent in the period. It is 3.88 per cent away from the 52-week high of Rs 771.15. At 1:55 pm IST, the share is trading at a volume of 2.1 lakh and 54 lakh in BSE and NSE at Rs. 743.65 ( 2 per cent up), respectively. "This transaction strengthens our approach to offer clients digital platforms and industry-focused solutions. It brings together our complementary capabilities to enhance the value we offer to our financial services clients. We are excited to welcome Stater's talented team to the Infosys family, thereby enhancing our presence in Europe," Mohit Joshi, President, Infosys stated as per the press release. The filing added that ABN AMRO will continue to hold the remaining 25% of the shareholding. The transaction is expected to close during the first quarter of fiscal 2020, subject to customary closing conditions. Although the stock has a falling investor participation, it trades above 10,50,100, and 200-day moving averages. With more volume closer to the high price, it has outperformed the sector by 0.52 per cent today.